Thank you so much… I am glad it helps!! Constantly inspiring me. Thank you. That photo of you is adorable. 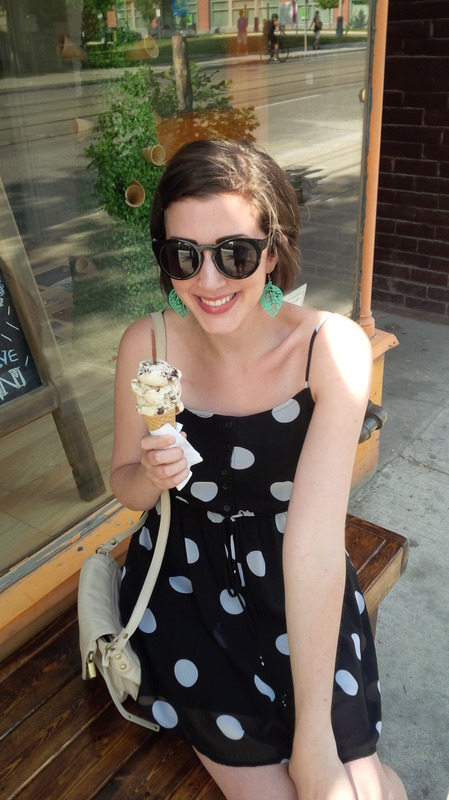 I love the earring & ice cream and big polka dots 🙂 It is a blessing to be on the other side of treatment – to walk easily, feel more yourself etc. Theappreciation of life is certainly a silver lining. Love this post, Steph! I’m with you on the making new friends, being appreciative of even the tiniest things, being so so so grateful for health and of course, life itself and inspiring others. The experience made me look at life a whole lot differently for sure! It’s all about taking things one moment at a time. I am so happy we were able to connect through blogging. Aw thanks Donna! Always nice to know there are others out there. Woot! Woot! Number 2!! Oh…..Does that sound weird?